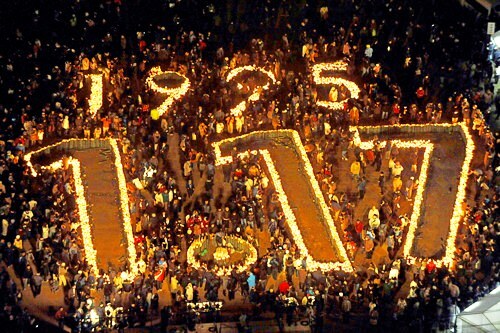 The Great Hanshin earthquake occurred on January 17th, 1995, is the second worst natural disaster in modern Japan after the 2011 Tohoku earthquake and tsunami. Kobe (refer to #038) and Awaji-islansd (refer to #047) devastated by the tragedy are now completely reconstructed, but current Tohoku still needs more help. 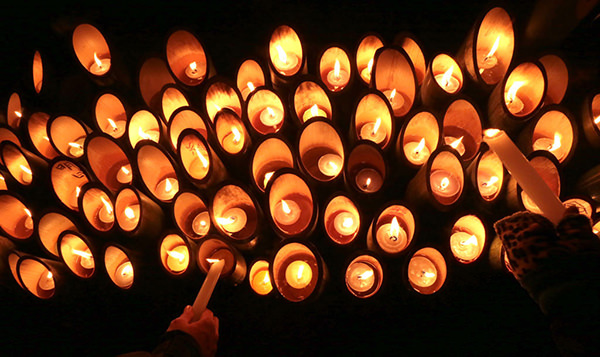 At 05:46 a.m. (the time of occurrence of the quake) on January 17th, people light more than six thousand candles (the number of the victims) and have a moment of silence every year.